I’ve done a lot of tech interviews over the years. A long time ago, after a series of particularly frustrating ones, it occurred to me that based on resumes alone, the candidates were clearly not morons, and maybe the problem was not them, but rather me and the process I have been trained to follow by employers and industry expectations, which has more in common with fraternity hazing than “traditional” job interviewing. I think more interviewees ought to push back on stupid questions and poorly conducted interviews — in real-time and to the recruiters and hiring managers. Eventually we can maybe restore some dignity to the entire process. Only hiring managers can make this happen. Thanks for your candor, Scott. Of course, one often tends to think of the perfect answer afterwards. After reading the full article and the comments I think that they were actually really cruel to Natasha. Even though I’m a woman I’m not a feminist however I do realize that some men are sexist. Maybe Irving is an MCP and just didn’t want a woman on the team but they had to go through the motions. Poor Natasha. She might have been able to maintain her composure until she got home and then had a good cry. Imagine those bullies thinking that it is OK to waste someone’s whole day. I take your point, but somehow I doubt Natasha was crying. Shaking her head and rolling her eyes, maybe. Telling other software folks not to waste their time with Irving and his company — definitely! I view this kind of interviewing as a request for free labor (“we need to interview women for technical roles”) and don’t even bother replying to recruiters if it’s a clear case. But otherwise, candidates like Natasha should charge businesses for their “services”. When and how can she bring it up? Charging only for onsite interviews isn’t an option because it accumulates. Say 10 businesses jumped on her female name and want 30 minutes of her time for a sham phone interview, and she still has to provide hours of free labor. I was thinking to charge a modest flat rate for up to 30 minutes plus an hourly rate after that. What rates would be reasonable? If they balk, it means they were not interested in real interviewing from the very start. Actually, Julia, I was just thinking about this issue of wasting candidate’s time with all day interviews / multiple interviews etc. One typically doesn’t want over-regulation. However, I was thinking that the initial interview of about an hour would be ‘gratis’. Subsequent to that they should be required to pay at least minimum wage for the next interview, or next hour. I think then the following interview/hour should be double minimum wage; the next triple minimum wage and so on, we would probably see that employers would probably suddenly not need to do so many interviews. Imagine just the cost and time traveling to 29 interviews. Imagine how much it would have cost the employer instead with my ‘formula’. Also the cost to the employer of an all day interview process with my ‘formula’. Key here would be to clarify the interview process up front: How many interviews, with whom, for which purpose? More than that, and the company already shows that it cannot organize itself – and thus has disqualified itself as an employer. However, let’s give people some lee way for being human: Actually, for my present job I had three interviews. First with the COO and the chief geologist, then with the CEO and COO. When they called me for a third interview, I started to wonder, but they were frank and honest up front: There were simply some questions they had forgotten to ask, after reading my resume once more. It has turned out to be one of the best jobs I have had. That my thought as well. Clearly, this guy didn’t want a woman in the role, but he’s required by EEO laws to interview them. You want to believe that’s not the case and you think that’s not possible until you have a daughter and you watch HER go through what you went through. Far too much of hiring is resoundingly and appallingly sexist. Natasha is absolutely right. My story – after three telephone interviews with a succession of people with the firm; in-house recruiter, product manager, and national accounts manager, I was served up for a face-to-face interview with the VP for the business unit. The interview took place at a coffee shop! He began the interview with no reference to the prior interviews, but instead peppered me with questions of how I would handle a series of fire drills involving demanding customers, some of whom were not always right, and screw ups by his firm. I actually have experience with these kinds of issues and gave him as many answers as he had questions, but finally I got tired of it. So I said, “is this job really about putting out fires, or is there a career inside it?” I added if all they wanted was a fireman, then we should stop the interview and stop wasting each other’s time. In response he stood up and announced that he’d already spent too much time with me and was late for his next appointment. I never heard from him or the company again, but I am sure I dodged a bullet. I was fielded some dumb questions for an electrical engineering position. My favorite is from this manager that looked like Dilbert’s manager. He asked me when I x R drops, why does it not make a noise? My reply was how long is a short circuit. Needless to say through the grapevine, they never filled the position, but the manager’s position opened up. 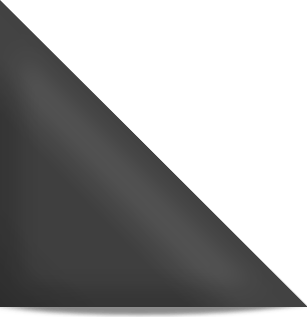 Dumb question – but great zen koan! I may steal that for my column. In 2002, I had a telephone interview with some jockey at Schlumberger, the oil services giant. After a series of the usual where do you see yourself in five years and greatest weakness show, she told me they would get back to me soon. I still remember the worst interview I ever had. The interviewers continually talked about how intense the company was and how they were looking for gunners who were really driven to work on their current project. They were going to nail the due date and finish the project on time (about 9 months from the interview time). I then asked what the next project after that was going to be…. The tension in the room skyrocketed and the interviewers became hostile and questioned my dedication and determination. Of course, no job was offered. Fast forward 9 months. The local news had a breaking story of massive layoffs at this company, complete with interviews with the stunned fired employees. All I could think was, well they must have gotten that project done. I was phone interviewing for job that had a heavy safety component, with heavy bureaucratic processes, which industry normal. But they were asking me how these bureaucratic rules helped me work more efficiency (!). This has no answer cause the rules are meant to slow you down so you don’t make a mistake. There were some other odd questions. After the interview I wrote them and withdrew from the job posting. I was interviewing at a college, and a one of the students who was part of the hiring committee told me “I don’t feel comfortable with man in the role.” This was for a technical job and the topic of gender came up way too often. Not the worst horror stories, but they still stick with me. Another I just remembered. I was doing phone interview for a one year government fellowship. When the interviewers got on the line, they informed me that the hiring manager nor none of the permanent staff could make the call, and they were the outgoing fellows and will relay my answers to the hiring manager. I knew immediately that I stood no chance against the other candidates that got to speak to the hiring manager directly. This one bit because I really wanted that fellowship. Ah, so you found the answer. Talk only to the hiring manager. I had a hiring manager point out that he was not happy with one single answer to a 20 minute online “personality” test I took between 1st and 2nd round interviews. Every other interview went great….even had people saying that I really needed to come back and talk to others who were out of the office because of the ideas I had on how to help them. It was pretty obvious the hiring manager was just looking for a reason to toss my candidacy. It kinda ticked me off that he had me come back for the second round of interviews. He could have just said no after the test and left it at that. BTW, I’m a firm believer in naming companies so they know what’s going on. Quest Diagnostics was the company. I’ll confirm that, even on contract roles. They like to interview and then change the specs after they see a bunch of people. Have you found that’s become rather common now? Quest tries to increase the use of invasive, abusive drug testing in the workplace so that they can make a buck. I’ve heard TERRIBLE things about Quest, mostly from a consumer point of view. Recently I have had excellent experiences with two prominent companies. I am not looking for a job but got contacted over LinkedIn – yes, that one raises my suspicions. For both companies, I asked the recruiter if they were retained by their companies and an authorized provider, or if they did this on a contingency basis. In both cases they were employees of their companies, and they turned out to be skilled ones at that. In both cases I checked out the recruiters and gave them my resume as requested. I had nothing to lose: Remember, I really like my job. I had phone interviews with both recruiters – one I actually had to change the time because of a meeting at work (Company #1). I had good conversations with both recruiters, and they were conversations. I asked both of them why they were interested in me. At the day and time of the manager interview, I waited for about 5 minutes and he hadn’t called, so I called him. (He was apologetic – they had a product launch.). A 30 minute interview turned into 50. I asked the manager why he was interested in me. It was a conversation. I was my enthusiastic self. There was one part of experience he said I didn’t have, so I asked him what challenges people without that particular experience. He said it was the pace of the work – I then told him about my small company work and my ability to focus on a goal and make it happen. At the end of the call, he said he would like me to have a phone interview with another person before they bring me up to their headquarters. That was on a Friday. Monday, the recruiter contacted me about that second phone interview. I have that interview set up for Thursday at lunchtime – remember, company #1 said they were trying to accommodate me, not the other way around. So there we have it for now with company #1. It will be a good experience whatever happens. There is plenty of material on the web – at this point I figure my chances of getting a job are 50-50. It would likely be a significant pay increase. Stay tuned. I studied both companies very intently and after initial contact with both I determined that company #1 was my preference, but that I do not want to work for company #2. After more than a week of silence, I heard back from company #2 that my application would not be proceeding. The note was a nice one – it could be a standard note they send to everyone, but it was thoughtfully written. Interesting how we both decided we didn’t want to work with each other. What I am here to say is that some employers know how to find candidates and interview. 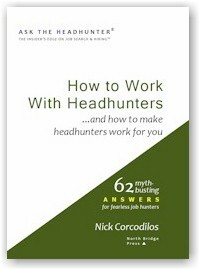 With techniques I have been learning on asktheheadhunter.com I was able to quickly determine a good recruiter from a bad one. Perhaps it’s the iconic brand status (I’m not sharing the company names – my current company is another iconic brand.). Don’t let cynicism get the best of you – there are some gems out there. PS: I talked to one of those third party recruiters recently and kept pressing him with questions and then requested he take me off his list. Finally, he said, “I am going to take your name off my list – this conversation is too painful.” Ouch! I would still handle it the same way even though this guy said he had been a “recruiter” for 20 years. Funny thing – I would just love for company #1 to extend an offer I can’t refuse – then have one of those so called recruiters contact me, and I answer, “Sorry, but I just accepted a position with [Company #1].” This could happen. @Kevin: It’s so nice to hear about a good experience like yours. Thanks for sharing the details — that’s what helps others judge their own experiences realistically. I wish you the best with #1! I recall the bizarre question . . . how many windows do you think there are in New York City? But the topper for me was an interview I thought I aced and employer ended up hiring the voluptuous blond sitting next to me in the waiting room. Guess they were looking for eye candy over a brain. Paul, did you see her resume? Sit in on her interview? If not, I’m hearing that you concluded she was less qualified for the job than you were because you found her attractive. Any chance you displayed similar logic during your interview and that’s why you didn’t the offer? Agree with Lynne – unless you actually know something about Miss Pretty’s qualifications, it is fully possible that she was both pretty AND the best qualified candidate. Paul – I understand your feelings. I have read ladies’ stories on this blog and they were sick of applying/interviewing and seeing that the company looked at their profile and they were passed over. They felt they were in a ‘singles bar’ environment. When something happens over and over that’s a pattern. However, in the face of all evidence sometimes denial by the powers that be over-ride reality. One interview I remember, my hiring manager, the foreman, showed up drunk with the shakes. During the interview I said to the HR girl “somebody needs to get this guy a drink”. I got the job and within a year I got his job. Another interview was for a vice president position. There were about 9 dis-interested people on the search committee panel asking non-relevant questions. But, what really turned me off to the job was that 3 or 4 others wandered in almost a half hour late and spent the time texting or playing solitaire on their phones. I knew I did not want that job and structured may answers accordingly to make me an undesirable choice. At 61 years old I’m happy to be invited to interview. I don’t have a horrible interview story, however, mine would be questions they don’t ask as I can feel the ‘get the old guy out of here’ vibe in the room. Interview cut short and good by. Once the ‘thanks but no thanks’ email was sent about 3 minutes after the interview ended. So the stupid interviewer story here is not having questions that test my ability the use my experience and education to improve the companies bottom line – the blindness of discrimination. If you have valuable skills, and I assume you do, it is sad that they turn a blind eye to you. If I were heading a startup, I would look to well experienced people, especially retirees, to hire – they have the track record that could make a start up go, and may have more tolerance for risk since working might be more of an option than a necessity for some. I don’t know how many times i felt “‘the get the old guy out of here’ vibe in the room.”My resume read as if I was so interviewers were surprised when a 60-ish lady showed up. I hope karma comes back to bite them. There are an awful lot of sixty somehtings like me who “retired” because recruiters only hire people like themselves. Sure, the might interview older candidates to satisfiy the EEOC and other diversity gods, but hiring an older worker violates the youth code. Not everybody gets wiser, but everybody gets older. And managers who forget they’re going to get older aren’t very wise about hiring. I agree that the “quiet but dismissive” interviews sometimes hurt more than the openly hostile ones (of which I’ve had many). A few years ago I applied for a design job at MassMutual. I immediately heard from the recruiter who confirmed that I met every qualification and scheduled me to meet with the team in Springfield, which was up to a 2hr drive each way for me. When they emailed me the itinerary consisting of a 30min meeting with ONE person, I suspected something was wrong. First, the hiring manager (a rather young’ish guy, appeared to be around 30) kept me waiting 10 minutes — this bothered me because it left only 20 minutes for the interview. Second, while I brought both my laptop and my printed portfolio, he didn’t bring anything (printed samples, tablet, etc.). Third, he didn’t ask me a single question and really didn’t appear interested in talking to me at all. He briefly explained that they have mostly print designers and are looking to hire someone to “bridge the gap between digital and print.” I pulled out my laptop and pointed out every single piece in my portfolio that was designed for both print and digital (or designed for one and adapted for another)…”Here’s an internal landing page. And, see, here it is in poster form. See? Here’s for print, here’s for digital.” Every time I said “See?” to make sure he was paying attention and he’d go “yeah, I see…” I wasn’t going to let him get away with telling me I was unqualified (even though I knew deep down I was wasting my time). When we reached the 20min mark, I stopped and asked him if he needed to go, he looked at the clock for a few secs and sighed “no, that’s okay,” I’m pretty sure he knew how bad it would’ve looked if he had ended it there. Next, I asked what he thought of my video library (since we were short on time), and he said, “Uh, video library?” Yeah, there’s the link on both my resume and on my webpage which apparently you didn’t bother to take notice of. Then I asked if he had a chance to review the samples I had emailed the recruiter who was supposed to forward them. He said, “Uh, I don’t remember.” Good grief. Okay, this is over, I got up and packed up my laptop and then he made it a point to tell me how when they first advertised the job they didn’t get many applicants but they’ve since re-advertised it and now they’ve got a huge amount of resumes — now, WHY tell me this???? I get it, you don’t like me, you’ve made it clear you don’t like me, sheesh. And then the poor guy had to walk me out to the main entrance, boy, was that a painful block of silence, I mean he didn’t even try to make small talk with me (I attempted at first, mentioning what a nice old building it is, then I gave up). As I drove off and headed to the highway, it was pouring rain and I skidded as I tried to stop at a red light. I could’ve gotten killed. I had to pull over for a few minutes and get myself together before hitting the Pike. The next day the recruiter called me to tell me “they’re going with some other candidates who have better change management experience.” I asked what the hell does that even mean, he said he didn’t even know, and I hung up the phone. But this wasn’t the worst part. The worst part came when I sent a letter to the CEO about this experience, which resulted in my getting the most horrifically written “apology” letter from some clown in “talent acquisition” who received his customer service training from the University of Facebook. He literally argued with me over two pages about how I was “wrong” about every point I brought up — he was late because there’s construction going on so he couldn’t find a meeting room (oh, you mean one week to find a meeting room wasn’t long enough???) and that he didn’t bring anything like samples or a tablet was “yes, he did! He brought a notebook and a pen!” Yeah, and what did he write in it? Nothing! I was so infuriated by this letter that, instead of putting out the fire, it motivated me to file a complaint against them with the state’s discrimination office. After a few months, I “got over it” –sort of — and withdrew my complaint, I don’t know if it was a case of age discrimination or a case of stupidity or just another fake job, all I can say is that this jerk did look at my StinkedIn profile before the meeting where he got to look at my picture (which shows an old unattractive woman, enough to turn anyone off), as the meeting had already been scheduled I guess he couldn’t think of a way to get of it. Hmmm. That manager seems to be awfully young for Alzheimer’s, but who are we to say? Jim, as I work with my client companies doing business consulting (not HR), hiring experienced mature staff is a competitive secret to getting people who show up and take responsibility. When these folks land in a company that cares about its people, the combination is fantastic for both. Many of my clients refuse to interview millennials (thought they should talk to the top third, who are excellent). Research the company and be sure to interview them as well. Recently I am being pursued by a big name company known for hiring young people and I am 52. We shall soon see if they are serious or if I’m an EEOC candidate. In the meantime I have a job that I like (they contacted me first). Of special concern is that they went silent for over a week, so I inquired what was going on – the hiring manager was traveling. It pays to not be cynical. Even so, we will see if they are serious. Way back when, I posted a story about a Rude Buddha I had encountered circa early 2010. I had just transitioned from long term unemployed to underemployed, and was trying to hold on to my survival job while looking for a level or two up from that. It was an out of town location, and I was trying to hide from my present employer 3 successive interviews spaced rather closely together. The third interview was with my potential boss’s boss. Though I was still recovering from clinical depression from job loss, I was recovered enough to become infuriated at his treatment of me. First, he had had two weeks or more to at least glance at my resume, which he had not. Secondly, he had not gotten the memo that we were coming out of the second most severe financial fiasco in the modern world’s history, which caused many people of high capability and impeccable reputation to lose their jobs through no fault of their own. 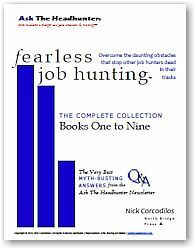 Somehow, he skipped over the evidence of nearly 40 years of continuous employment that came to an abrupt end in early 2009, and instead focused on the survival jobs that had come after that. I was more than furious, perhaps livid. Rather be than explain “gaps”, I opened my award-winning professional portfolio, and placed it in front of him. It must have appeared to be Greek to him, because his forehead deeply furrowed as he pretended to be interested in it. He had mentioned during the interview that he had had a long day. My determination was to make that day even longer. I sat quietly as he struggled to end the interview. It took about half an hour, and I don’t remember who made the first move, it it finally ended. I still needed the job, so I followed up, but was much relieved that my desire for rejection was fulfilled. It felt like a scene from Criminal Intent. That manager was in a movie of his own: Marginally Employed. I don’t know how many times i felt “‘the get the old guy out of here’ vibe in the room.”My resume read as if I was 45so interviewers were surprised when a 60-ish lady showed up. I hope karma comes back to bite them. There are an awful lot of sixty-somehtings like me who “retired” because recruiters only hire people like themselves. Sure, they might interview older candidates to satisfiy the EEOC and other diversity gods, but hiring an older worker violates the youth code. The EEOC laws also cover age discrimination. Good luck proving it. There can be 3240 employees in the company and 23 are over 50 and sit in C level seats but that is not ‘proof’. I actually sat in a resume class at my local State Workforce Center and asked about age discrimination. I was told they would help me ‘age-proof’ my resume. I said ‘age discrimination is against the law. Are you asking the Hispanics here to Hispanic proof their resumes?’ You could hear a pin drop. People over 50 are a huge voting block. Why we don’t march on Washington is beyond me. And don’t look to AARP or the EEOC. I have tried. I have 3 hiring managers at this moment that I have had an interview with. I did very well in one interview and my name is on the list for the next round of interviews. Key Bank’s diversity page on their 45 page ‘about Key Bank’ PDF is scary. They believe diversity is ‘Key’. 96% of their hiring in fact. I’m not in that group. I agree that it has become too hard to prove any type of discrimination, or to even call an employer out on their hiring practices. I applied for a job at my Alma Mater, which is a state school. I had the gauntlet of giving a presentation about a successful project I worked on to the 5 person hiring committee, had the dreaded panel interview with them where they all took turns at asking the standard interview questions, then had to take a written test. If that wasn’t bad enough, they also set up a meet and greet with basically the whole department/division, where there were more questions. The first problem I have is that I find it hard to believe that all five of the people that didn’t get the job were so bad that they felt they couldn’t hire any one of them, and instead go through the trouble of another 4+ month round of job postings, screenings, interviews, reference checks and discussions about who to hire. The second problem I have is that the person I hired graduated the year before and was female. Now, I don’t have a problem with age or being female, but I was able to find her LinkedIn page. She had basically worked retail since graduating and had only one relatively unimpressive internship. No portfolio was linked, nor did any Googling show much of anything either. I don’t think she had ever shown up or followed any of the local industry groups either. In other words, nothing stood out from any other profile I had ever seen. As someone who has had input on hiring/on boarding/training/mentoring in a previous life, I would ask candidates what they do to keep current, especially if I had someone like this in front of me, because I could pull out 100’s of resumes/profiles just like hers. Of course, all I could get out of the college was the “bad fit” line, and with talking to others in the know about the law, it would be almost pointless to call them out on their decision. Anything short of them saying “your old” or “you’re awkward” (I suffer from chronic major depressive disorder with anxious distress – the positions I’m interested in are generally back office and non-customer facing) in writing is going to be impossible to prove with the current precedents. * My career up to this point had been in a niche area. For various reasons, the work has been drying up and if I were to stay in the industry, I would likely have work at positions I have little interest in doing. I should let the College know about this the next time they call asking for donations…. With regard to age discrimination, the EEOC is overwhelemed with cases of existing employees suing employers for age discrimination. Their focus is to reduce the flow of cases to court by encouraging settlements through mediations. I know this from personal experience. In my case, I had very extensive documentation of age discrimination against me that the ex employer didn’t even try to deny in mediation. We reached a great six figure settlement (in my opinion) in a little over three hours. They didn’t want this going to open court as they are very PR conscious. It took six months for this case to reach the EEOC mediations stage through a lawyer. The practice of age discrimination during the hiring process is both pervasive and difficult to prove on an individual case which is why most employment lawyers are wary of investing their time. I would like to see some class action attorneys descend on the larger, more deep pocketed companies who engage in any kind of discrimination during the hiring process. At the end of the day, a lot of damaging information would surface for companies who routinely trade in age discrimination. I don’t know if a legal exposure of this practice would change things, but it could get very uncomfortable for publicity driven Fortune 500 companies. Again, I wonder why this is the case (no pun intended). If age/gender/disability/race/ethnicity discrimination is as prevalent as we’ve experienced, why is it it so hard to prove? There’s only so many times a company can use “bad fit” without providing any actual, hard evidence. Bad fit could mean anything from “yeah, we’re a bunch of so something brogrammers here” to someone genuinely being incompetent. The issue is that they are telling individuals that they are ‘not a good fit’ for the position. Unless all these individuals get together and discover that the only thing that have in common is that they are all older than … the companies will get away with it. I think the issue is that job seekers are so desperate for jobs that they don’t want to offend any employers and blacklist themselves — while potentially rich settlements stare them in the face. Learned helplessness is a debilitating malady. @Jim: How many big-name employers readily admit they hire paltry numbers of women? Yet, where’s the class-action lawsuit? Yo, lawyers out there: THEY’RE ADMITTING IT! Where are the class-action settlements? Really, the only answer is to age discrimination is to found your own company and hire only people with 30 years’ experience. Older people are only offered menial jobs at minimum wage and 30 somethings are openly age discriminatory during interviews. If I get another interview and one of them talks slowly and patronizingly starts telling me “You’ve probably never heard of Google” like I have been living in a cave for 20 years, I’m walking out, too. Go read “55, Unemployed and Faking Normal” by Elizabeth White, to get a handle on the new normal and get on with your (financially much less secure) life–which she explains with grace, realism and humor. Then read “This Chair Rocks” by Ashton Applewhite, who discusses the gamut of ageism in America, and she is very funny while doing so. Both will make you feel better–these are the books we needed back in 2010 or so, but better late than never. This problem will not be fixed, unless well off people over 50 start boycotting age discriminatory companies (which is about all of them) and making a big stink about it, which would help the rest of us. They’re not going to do that. The really rotten part is that older women’s unemployment rate is now twice as high as it was before the recession, and is about 50%–even if we’ve worked for a lifetime. If you’re under 50, save every dime you possibly can. If you’re over 50 and have a job, keep in touch with your unemployed friends and colleagues–you may be able to help them, and they may be able to help you, if it’s your turn, one of these days. Do I hear #oldtoo in the offing?? I rest my case. There are as many programmed morons in the career and resume biz as there are among hiring managers. That was REALLY funny in spite of being so frustrating. Age-proofing your resume might get you an interview but once they see you, their prejudice might result in no job offer. 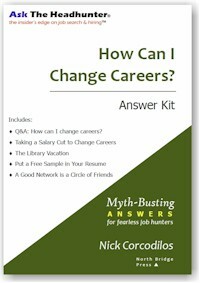 The author, Dan Quillen, wrote in the ‘Does age matter?’ chapter of his book “Get a Job”, submitted 130 applications; was invited to 31 interviews. However, he didn’t get any job offers. He was invited to present his resume to a networking group. His resume was sent prior to the presentation to individual who scheduled the presentation. I once had an attorney interview me for his paralegal job. I always ask how did this position become empty – is this a new job? He told me he had hired someone 85 days ago and she was not going to make it the full 90 days of his trial period. I decided right then I didn’t want the job. Then this rude man started going over my resume, and negating everything from my education to my experiences. I should have walked out after telling him how rude he was. Another time, I asked why are they hiring and the interviewer said staff is never on time and takes too much sick leave and the person he was talking about could hear us. Both jobs were a no for me. My last bad experience, I was actually hired. I used the tips on here for how to show you can do the job. The two interviewers kept telling me what a great agency this was and that they had worked there for a lot of years. Turns out the agency treated its low level staff terribly and let this boss get away with verbal abuse and breaking rules. I learned that when they sell how great a work place it is, they mean its great for THEM, not for anyone else and so be careful. That was my thought as well. Clearly, this guy didn’t want a woman in the role, but he’s required by EEO laws to interview them. @Barbara: I’ve been asked if I’m married/planning to get married, what my husband does for a living and how much he makes/does he have insurance/am I covered under his plan, whether I have children and how many, etc. None of that is relevant to the job, or so I think, and men usually don’t get asked whether they’re married/when they plan to get married, have children, how much their wives make in their jobs, etc. I don’t know how women can stand it. It must feel at work like you’re forced to breathe all day long through a plastic straw while running to keep up. WTF is wrong with companies and managers whose job is to produce more profit but spend half their time handing out straws to female workers and urging them to “BREATH HARDER!” so they can “WORK HARDER” to produce more profit. I’m reading comment after comment and now I’m in a very bad mood. I think we’ve isolated the reasons why women are paid less; 1) they’re not men and 2) if you’ve followed all the harassment/Weinstein stuff, even men are seeing that one or two of those guys in a woman’s career, and she loses her place and there goes her earning power. Even if it’s just plain harassment, belittling and sexism, without overt pawing, it happens to all of us. 3) women “age out” faster than men, which is totally, disgustingly unfair–because the powerful creeps who run most of everything like cute young things. Someone said a few days ago that none of this will change until we have half women in the House and Senate and everywhere else there is power. Then magically, it will become a non-issue because nobody will be able to get away with it. The only thing that really helps is to forget working. A friend lost his career when I lost mine (about nine years ago) and he buries himself in very creative volunteering and has quite a good life, even if there’s very little money for extras. After doing everything to keep a career going, even after an outstanding record, retraining in a master’s program in a hot field; running my own business (which has also died), working temp, contract, everything–I’m trying that and it beats being thrown into the slush pile of life. It shouldn’t be this way, but it is, and you have to decide to “go have a life” despite all the headwinds. Understandable, Nick. But don’t you stop writing and doing the good you do. I send my clients (small to mid-size employers) to your site to learn how to do it right. One applicant came in and showed how he could do the job, for a job there was no opening for. It was a courtesy interview for the future. I asked my client (my clients become friends) what he did afterwards? He paused, and said “what could I do after that?”, I hired him. @Steve Simpson: THANKS! needed that! Great story! The question I have is the news keeps reporting metrics I simply cannot believe. One is there are 3 open jobs for each job seeker. Also, they cannot find qualified candidates. I say get off Indeed and Zip Recruiter and the hiring manager brings in whom she/he wants to interview and tells HR whom to hire. Not HR telling the hiring manager whom to interview. Jim, where does that 3 for 1 stat come from? I’m guessing somebody counted job postings on some job board…? My brother works in a “Mike Rowe” position at a manufacturing plant. Not only can they not get good help, they cannot get candidates who can deal with common part sizes that include fractions. Sizes like 1-1/4″ are beyond them. A size larger than one? Is that possible? All jokes aside they should look at the compensation. Employers are still in ‘they will take anything’ mode after the crash. Those days are gone. Show us the green! I’m told that a good journeyman an knock back six figures if you don’t mind the overtime. They are hoping to assemble a second shift to get away from 60 hour work-weeks. One would almost think their products were popular. The guy who owns my local bagel shop has to train young new workers (straight out of high school) how to count out change for customers. I told him I admire his contribution to financial literacy, because who else is going to teach them? And for keeping them off the streets. I was just teaching my son the other day how to make change – we were playing Monopoly at a game night of an organization I belong to. He is in sixth grade and people of all ages were there. I think it took awhile, but he eventually comprehended you you count up – if, for example, someone owes you $367 for rent and they give you a $500 bill. You give them $3 which adds up to $370, then a $20 takes it to $390. Another $10 gets you to $400, so now all you have to do is come up with another $100 to take it to $500. Company #1 is now going to bring me on site. At the same time, my wife just got offered a librarian position locally – so we will see what company #1 offers, if anything. I see this all the time at stores! I’ve had a purchase that came to $10.68, gave the kid at the register $20.03, and was he ever confused! Telling him that I gave him the pennies because I wanted even change didn’t help. They’re so used to letting the computers do the thinking for them that they have no idea how to make change without technology if the machines went down. Interview question: If I were to dump a garbage can on your desk, how long would it take you to find a complete tuna sandwich? You have all day to look, but you cannot leave your desk. You can, however, contact Indeed at any time to buy another garbage can’s worth of material. The era was the late 1970’s, and I must have been the veteran candidate for a group interview. The hiring manager ran the interview (yay) but at the end “every body will get a question”. The questions were pretty normal until we got to the HR girl. Her question? “Why didn’t you go to college after high school instead of wasting your time in the Marines?” There was dead silence around the room, and I got the “Thanks but no thanks.” letter later in the week. Time passed, until shortly after SubmitOrder.com imploded spectacularly. I was being interviewed, at an incubator by two ex-SubmitOrder managers and a tech from somewhere else. About 5 minutes in the interview becomes nothing except the SubmitOrder guys crowing about how great it was and how great they were. I never heard from them. I remember a civil service (school district) position I interviewed for at a cattle call. I asked what had happened to the last person, and was told point blank that he had committed suicide. At 62 I doubt that I will get another interview. Millennials in HR have real difficulty hiding the “he’s too old” look when they enter the room. Wasting your time in the Marines? Well, it was the late 1970’s. Lot’s of social changes happening. Let me apologize for that comment made all that time ago. Though I am a coastal liberal, I do hold our military members in high esteem. In my mind, someone who spent time in the marines is probably someone who is going to work very hard. I worked with an Army veteran from the latest war in Iraq – hand to hand combat – very hard worker and open minded. Working with him inspired me to keep going when the going gets tough (and it’s still nothing like hand to hand combat). Yeah, I would hire a former marine in a split second. Social change could describe it. Not that Veterans we’re treated poorly by HR departments after Vietnam. Nope, not a bit. After leaving at the ripe old age of 63(aka known as getting kicked out of engineering) I interviewed for some corporate engineering jobs fully knowing the extreme age discrimination that goes on in my industry. After several interviews, I satisfied myself that things had not changed and decided to look for a new retirement career since I didn’t like doing nothing. I enrolled in a local community college Emergency Medical Technician program and managed to get my state and national certifications in about six months. One of the instructors manages and EMT station at a local amusement park and asked me to apply. I was hired immediately and completed a season of giving first aid to injured guests and sending those whose problems exceeded our scope of practice to the local ER. I was the oldest one in that department that consisted mostly of college kids on their way to physician assistants. It was a great season for me as well as the millennials. THis year, I am the first one back to work as I am available during the school season. I will work the maximum of 9 months per state employment laws covering seasonal employment. So in my case being older actually helped. When I left engineering, I never would have thought that the future unfolded as it did. The old adage of hitting them where they’re not certainly applied to me. My interview from Hades was at an advertising agency in Hong Kong. It was a satellite office for one of the then-largest global agencies. I brought my portfolio (this was back in the 90s, when we copywriters carried binders full of our best work) and was presented to the boss woman. Boss woman flipped through the book, never taking time to actually read anything. She didn’t get past the first five pages, as she took not one, but several personal phone calls during my interview. When, after about 15 minutes, she actually said to an unknown phone caller that “this is the worst job I’ve ever had”, I decided to take my leave. She seemed surprised. I didn’t walk out of that one but kind of wish I had. My worst interview was with Blue Cross of Massachusetts. From the moment he walked into the room, my interviewer made it clear that he would rather be doing anything else. He asked me three generic questions with a tone of voice that made no attempt to disguise his desire to get this over and done quickly. There must have been a back story to this, because no one behaves this way at an interview. Rather than be angry, I actually felt bad for the guy. After a hostile tag team interrogation, I was interviewed with an executive who repeatedly encouraged his 60lb Labrador to jam its nose in my crotch for a solid 45 minutes. I, uh, found a stronger candidate. Now that the tables are turned, I have no trouble finding great employees. People think it’s weird that I don’t need 3 years of salary history, a psych exam, feel the need to lowball salary, or ask “what’s your spirit animal?” during interviews. All I need is a whiteboard and the same single question for every candidate. I think it’s weird that their departments are failing with so many awesome people out there from which to choose. Lest I forget: A couple years back (I was 59 at the time) I interviewed at TEK Systems for a transitional contract with Wells Fargo Bank. The initial interviewer thought I was perfect for the position, and brought me in for a personal interview. As soon as her young blonde manager entered the room, the temperature dropped considerably. Suddenly “the client” was looking for something different than my previously vetted skills. The response was a request for more information. Balderdash: You know how your salespeople and managers are acting. “we already filled that position”. Three things we cannot make more of are time, love, and health. Who has time to waste (on both sides of the table) unless this was an HR directive to interview a wide-spectrum of candidates for some checkbox? The only interview I ever walked out of was on campus near the end of my graduating semester. The interviewer seemed to delight in his power position and spent lots of time making snide comments and generally trying to show he was in charge. At 10 minutes into the interview (supposed to last 30), I said, “look, we both know you’re not going to hire me, so I’ll just cut this short and you can have a break before the next candidate”. He literally spluttered, “you can’t do that!”, but then he was speechless as I got up and walked out. Contrast that with the company that hired me. The interviewer spent maybe 5 minutes asking about my senior project, and then we talked about cars and other things for the next 25 minutes. I asked him 2 years later about the interview, since we still worked together. He told me that everyone graduating with my degree from that school had already proven they could complete a difficult program, and the program had proven results. So his job was to see if my personality would fit with the company culture. Hence the majority of time spent on ‘non-work’ related topics. I was with that company 17 years and only left to move closer to family. I may soon have an out of town interview, albeit in state. The company in question contacted me – I am happy in my job and not looking for another one. This is one of those companies that when they ask you to interview it is a worthwhile thing to do. Either way for me it’s win-win. One of the hiring managers said they are dedicated to this being a good experience. That said, what if I am on an out of town interview and I want to leave? I was on an out of town interview once where the interviewer started yelling at me. I should have left, and yet I was afraid that the potential employer would come after me for their money. I can take a boss telling me what I should do differently, even being irritated. What I will not tolerate is being yelled at. I have left jobs over being yelled at. My own experience has been fairly benign. The silliest question was probably an impromptu “How old are you, Mark?” during the middle of a discussion about hardware architecture. For what it’s worth, I had just turned thirty and the interviewer was probably in his late twenties. In retrospect, the interviewers who were rude or openly hostile tended to have been either local royalty or, as the saying goes, “legends in their own mind”. 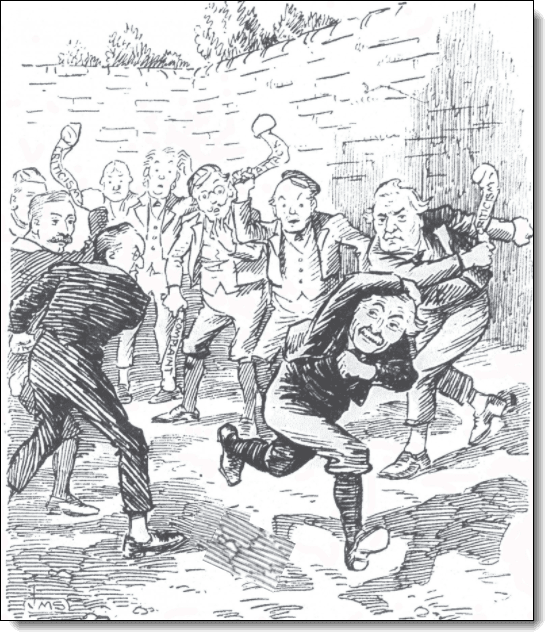 Running into or hearing about some these individuals years later, it came as no surprise that many had since undergone an attitude-shifting comeuppance of one sort or another. How often, though, do interviews go badly when the candidate is recommended by an employee? Are interviewers on better behavior when a co-worker has skin in the game? I’m about the leave for an interview. Time allocated is 30 minutes. It’s a panel of 5. Really? Each better have less than one question. It’s a County job. I’m not surprised. I will report back if anything is stupid. I had an interview at a media company the day after the 2016 presidential election. It was supposed to start at 9am. I arrived early, which is no small feat in Los Angeles and waited about 15 minutes for the interviewers. The HR rep finally came to take me back and the interview began. Then come to find out, that was only part one. JaneHR came back to tell me that the other person who was supposed to interview me was still running late (she said election outcome sorrow suspected) and would be there soon. It was now about 10:15am. JaneHR came back ten minutes later to say that this latecomer still hadn’t arrived. I then told her that we’d need to reschedule because I had to get back to work as I’d already been gone longer than I’d planned. She apologized but looked at me like I was blowing it. I never heard back about rescheduling. I wouldn’t consider working there again because of that experience. People cannot stay all day at job interviews (unless they’re unemployed maybe), so show some respect for my time. The least JaneHR could have done in advance was give me a heads up that I should allow more than an hour for the interview. I am happily employed, and over 50. I get calls every week from so-called recruiters – most of whom I blow off and tell them to remove my name from their list. I did take a couple calls from recruiters who were employers of the target company. One company wants to interview me further, and the other does not (I didn’t really care for the second company anyway). While I do agree that ageism is alive, well, and rampant, I do know people past 50 and 60 who are struggling. What stands in their way is a skill they could acquire. So when I ask, “Why don’t you acquire this skill/credential/degree, etc” the answer comes back, “I don’t want to/can’t do that.” It is a key factor that would make the difference. You can’t do anything about your age. I think it is very, very wrong for companies to discriminate. That said, take a good, hard look at yourself and ask, “What can I change/do/learn?” Ask people who work in the field what it takes. In my line of work, I have to constantly learn or I’m dead. It has been my vision my whole life to incorporate versatility. Right now, my analog skills are being sought (along with RF/microwave) – but I can do power, software, digital, and FPGA design. I can also do light mechanical design. Give me something to do and I will figure out how to do it. At one point I shortened my resume to the last 10 years and took dates off when I graduated college. I got feedback from multiple companies (hiring managers) who said, “Look. You have a lot of experience. Please show it on your resume – we will be more likely to hire you.” As I heard that from more than one person, I started showing my entire experience again. Vendors are also a good source to know what’s hot and what’s not. Don’t let age be an excuse – but I do understand. PS: One potential employer did admit my age was a problem – but that was a toxic employer anyway. That employer is now struggling, and the dysfunction has grown worse. The staff are scared. That could have been me. Kevin, don’t just blame the older job applicants. One day you might actually find yourself in their shoes. I was considering a program to update my skills in IT. The program included a co-op/internship. While I was considering the program I came across an article regarding an individual that was even significantly younger than me. However s/he was significantly older than the rest of the individuals in the program that included 12 months in-class training plus 6 months co-op. Even though s/he got the best results/marks in the training program s/he was the only one in the whole class that did NOT even get an internship. I.e. unable to find an employer interested in offering an internship to an older worker. I was in IT. Before spending a lot of money on training don’t. It’s that simple. Only us in this moment at our ages in this economy really understand how things are. My aunt apologies – I did not mean to sound like I was blaming older workers for their fate. My whole point is that your age is something you can’t change, but the idea is to find what you can do. Even that may not be enough at times. It may mean starting your own business. It may mean changing fields (yes, even after a new education). One of the founders of Panda Express has a Ph.D. In electrical engineering. Engineers often make great entrepreneurs due to their problem solving ability. I have degrees both in electrical engineering and music. Music came later – although I hadn’t already played my instrument for many years (the pipe organ). Since the principle employer of many organists is churches and the pipe organ is not used much anymore, it is now a declining field. After 8 years absence I dusted off my Engineering degree and went back to work. I have not looked back since. If one thing doesn’t work, try something else. I meant “My apologies” – I don’t know how “aunt” got stuck in. How on God’s green Earth did you manage to get an engineering job after an 8-year hiatus? I started talking to people I knew – I also took a class and consulted with the career services office at the university where I earned my BSEE degree. Eventually, I got an offer from the golfing buddy of a friend from church. The job lasted three years. Been the hiring manager, job hunter, 3rd party and in-house recruiter spanning 50+ years. Have personally done bad, great and so-so interviews with candidates who have interviewed badly, great and so-so. Interviewing is an acquired skill done usually with people of varying interviewing/interviewee skills mixed together, with varying success. Success being the right person, lands in the right place, at the right time. There’s a lot of complaints about stupid questions. They are stupid if they are just fodder for sterile Q&A sessions. But a conversation also has Questions and Answers. But what makes a question a good question is if it initiates and/or sustains a great work related conversation. For example a question I like is “Tell me about an accomplishment you are proud of, from which you got a lot of satisfaction. It does not have to be work related.” Maybe it sounds stupid to you, but if you read this blog, you’ll have read about talking shop. If you are experienced in your field..or think you can add value..I’ve given you an open door to take the conversation right into talking shop. If you are a recent grad, and obviously have never been in a “shop” tell me about something else you have done. I want you to start talking to me. I don’t want you to be off-balance because you’ve not yet practiced your craft. I tossed that at an engineering grad and he lit up, telling me about his project where the team designed a paper airplane winning an engineering contest on same. Int’l in scope. Without noticing he also told me about his project leadership skills, and work commitment. Time. My co-workers joked, and my bosses fumed at the time I’d spend with candidates. I’d only have a couple of stock questions. I fit into their schedules. But I digress. I thought one of the neatest candidate stories I ran across was in a small company I worked for. One of the Directors was asked to sit in with the hiring manager. The former guy was known to be absolutely awful. By awful, he really didn’t know how to interview. I never saw anything like it. He’d spend 5 minutes or less with a candidate, opining to peers, HR, we recruiters that he had some kind of magic that would tell him about “fit”. But he had one big interest. He was a buyer at heart. And buyers believe in superior negotiating skills. So we had a candidate in for a manufacturing job & he was “guest interviewer” presumedly to back up the Mfg hiring manager who in the HM’s view didn’t need his opinion. I had recruited the young lady & thought she more than enough skills for the job on the table as well as a sincere interest in the company. So the Director more or less went into a harangue of his belief in the value of negotiation…on and on and on. Which had nothing to do with the HM’s needs. The Director paused & she said “So, are we negotiating now” Which won over the HM who thought it was hilarious. My worst as a job hunter was flying cross country, to talk to a guy/interviewer, (not the HM), who at least honestly told me, that he didn’t know why I was there. What the job was, who I’d be working for the whole nine yards. So I guess I got to talk shop..I spent my time briefing him on same as well as some organization changes coming up that he wasn’t aware of. I did get an offer, but it was too dicey so I passed. I can’t tell you HOW many times I’ve been told my resume and experience all look great, my skills seem superior, etc., etc., etc. and then simply passed over. I was laid off a year ago from my FT job due “restructuring.” What they actually did was to replace us with people who would accept lower pay. Four of us were laid off, all of which had years of experience and deep knowledge about the organization and its quirky processes. I’m sure my former employer thinks they have their pick of qualified people who will get up to speed quickly. So, here’s my question. Is there really a large set of skilled, qualified people from which to choose? Just asking because it seems employers seem to think so. I can load my resume with key words but that does not mean I’m qualified to do the work. No there isn’t a large pool who have years of experience and deep knowledge about the organization and its quirky processes. That stuff is what I call the invisible glue that when absent spells lost time & profit and competitiveness. I’ll never forget one group interview that I was subjected to. “Snotty” (his real name was Scott) was a member of the group. Snotty was about 20 years my junior and had his BS for less than one year; I was about to graduate from the same program. Snotty asked me a question. I responded, “What do you mean?” Rather than rephrase the question, or handle my response in some other logical way, Snotty simply shouted the same question at me verbatim — twice. I’ll never know if Snotty got some constructive criticism after I left the room. But people do hire people like themselves, so probably not. I had an interview with Charles River Systems. The recruiter had never worked with them before and couldn’t get anyone he sent to be hired. According to my resume and my experience, the recruiter thought I was and EXACT match. He begged me to take the interview and tell him what was going on. I told him that the company had a bad reputation, but I agreed. The first criteria was if I had a CS degree for a specific list of colleges. Never mind that my degree was 1,000 years old. But I did, so I passed that hurdle. I went to the interview and the HR lady told me I would have to pass a series of quizzes. I needed to get at least an 80% on each quiz. Each interviewer would give me a quiz and if I passed then I would get an interview with the person. The first quiz was a logic puzzle and everything was removed from the room except a pad of paper and a pen (so I wouldn’t cheat). She also said the logic puzzle was mandated by the CEO who placed great store in the fact that if you could solve a logic puzzle, you’d be able to figure out how to do the job. 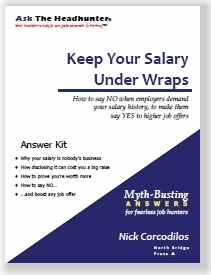 Eventually, pay came up, and this stupid woman said to me, “Well, your skills are only WORTH $7.50/hour.” At that point, without hesitation, I said, “This interview is over.” I got up and walked out without looking back, went to another agency, and got paid what I was worth. Even back then, when I did not have a permanent job, I knew what I wanted, what I was worth, and what I would NOT put up with. I had no fear of walking out on a job or an interview, because I always had my eyes on MY future. Now, I am in business for myself (virtual assisting, writing, editorial.) I don’t make a lot of money. In fact, right now, I am somewhat between projects, save for a minimal, low-paying part time job that I love but does not pay the bills; however, I am happier than I ever was working in corporate America and playing those games! I am confident that things will get better for me.